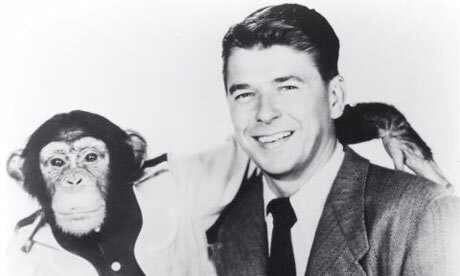 BEDTIME FOR BONZO was delivered to an unsuspecting public in 1951. It came in 109th of the years releases, then disappeared down the memory hole for quite a spell until it’s leading chimp became a politician, and his detractors used it to make fun of him. 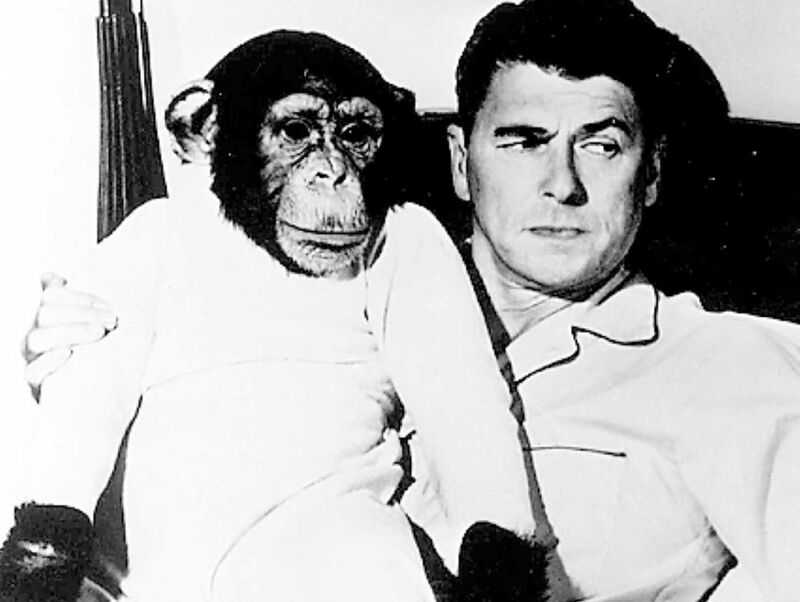 A professor, played by one Ronald Reagan, takes on the raising of a chimpanzee as an experiment in sociology. 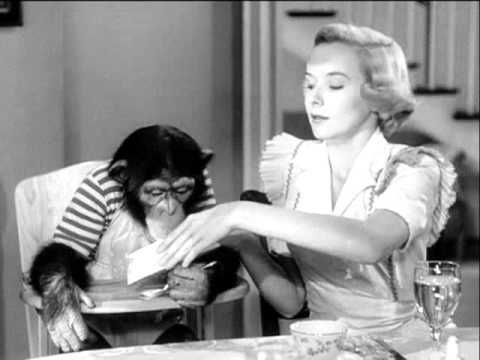 In the course of 83 minutes, directed by Frederick De Cordova, Bonzo (the chimp) engages in various shenanigans, the professor finds romance with Diana Lynn, and were it not for the presence of a President of the United States, this would be a reasonably cute little comedy time-filler. With Walter Slezak and Jesse White. See it, then rest easy reflecting that the same hand that thumbed through this script was a spasm away from 20,000 nuclear missiles.